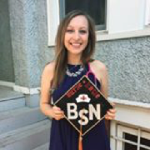 Nine days ago our Katie graduated from the University of Wisconsin, Madison with a degree in nursing. We are very proud of her. We don’t give our children a lot of career advice; we just urge them to follow their passions and take risks. 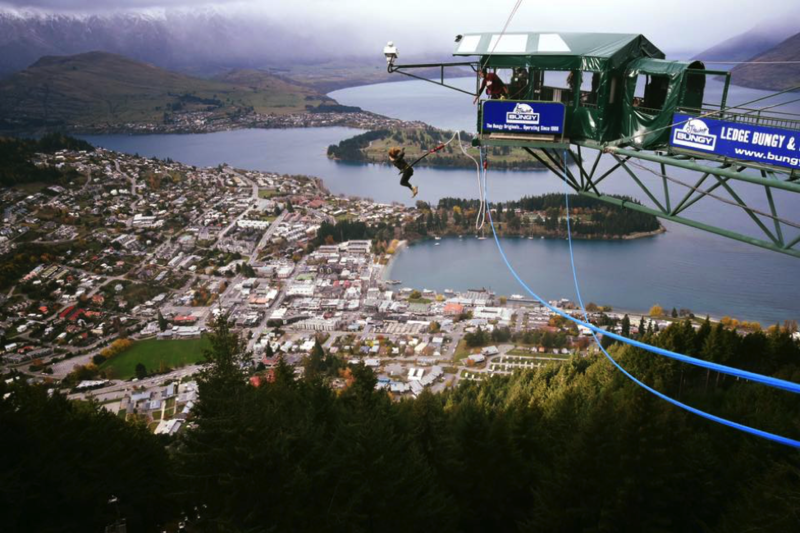 Yesterday, Katie sent us this picture of her bungee jumping in New Zealand. I am beginning to wonder if we went a little too heavy on the “take some risks” advice. I hope Katie will keep taking risks throughout her life and that she, will, of course, always make sure the bungee cord is securely fastened. And I hope her bungee jump was symbolic of a life in which she is willing to take extraordinary risks in ordinary life; to leap off the platforms that we face almost every day. Taking risks is not easy; it scares us. I know fear can be helpful at times, it can steer us away from the wrong things. But sometimes, I worry that our system has gone haywire; that we are increasingly fearful of remote things we cannot really control, and not mindful enough of the more significant risks that lie within our control. As a nation, we are obsessed with terrorism, even though the chance of any of us dying from a terrorist act is approximately one in 10 million. At the same, time we ignore the advice of our doctors about how to keep our hearts thumping, when the chance of dying from heart disease is about one in four. When it comes to risk taking, we often get it backwards. Mostly, I think we avoid taking the emotional risks that would make our lives more meaningful while taking unnecessary risks in other areas. So many people worry incessantly about the risk of having their identity stolen. I worry more that we may never find our true identity in the first place. There is a tendency to live our lives quietly; to fail to take risks in our relational lives. For me that creates an unacceptable risk of life just passing me by. It is often said that people fear public speaking more than death; which essentially means our greatest fear is awkwardness. Yet, the terrifying truth is that almost all meaningful relationships are built on the idea of risking vulnerability; which, in short, means a willingness to be awkward. I don’t want to look back on my life and think that I missed the opportunity to truly be alive. So, in honor of Katie, and her great leap, I am going to try to do some “spiritual bungee jumping” this week. Time to get up on the platform and take a leap; or maybe a few leaps. Where do I start? Where would you start? Ron, thank you for brightening my day. I start every time I get up in front of an audience and “get my passion on.” Speaking to a room of more than 2-3 is always nerve-wracking, but I do it anyway. And I know that you do, too, so I’m not sure where I would tell you to start; you’ve already done so much already. Posting blogs in which I talk about what I see happening around me is also not easy, but I do it anyway. And cross my fingers that those whose opinions I care about understand where I’m coming from. This blog was wonderful; I love that you share such marvelous insights and make such wonderful connections. Thank you, again.